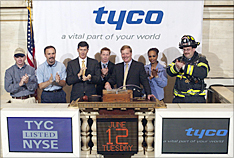 In the tumult of change, Krol was concerned about the company’s risk and proposed that he and members of the board visit every division of Tyco, talk to the leadership and build a risk profile of the company, an enterprise-wide assessment. Not only were the board members able to develop an assessment of the company’s risk, but in the process, board members got to know the next level of leadership in the company. Tyco divisional management liked the unfettered access to the board. Of course the company had its own risk assessment process and they are currently combining the two. It’s not easy to take on such a task. But after developing a process and executing on it, the board came to a deeper understanding of the company. Directors like Jack Krol, willing to spend the time and energy to help a company recover and become better, bring real value to shareholders.